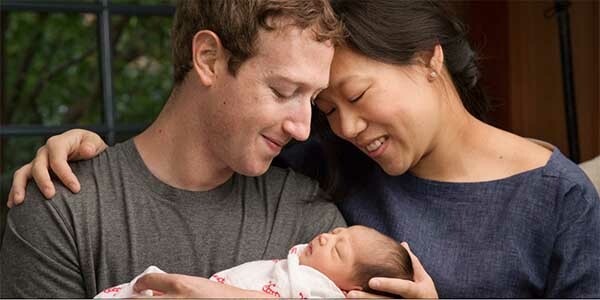 Mark Zuckerberg: Priscilla and I wrote this letter to Max and launched the Chan Zuckerberg Initiative one year ago. It’s about the world we hope to create for her generation. Today, Max giggles, says a few words, kisses us, and is about to take her first steps. We’ve made good progress with the Chan Zuckerberg Initiative too:– Personalized learning. More than 100 schools and 20,000 students across the country now use tools we’ve helped develop with Summit Public Schools to customize instruction for every individual, and these students can learn up to 50% more per year. Priscilla opened The Primary School to serve families with an integrated approach to education and health. We also invested in international efforts like Andela in Nigeria and BYJU’s in India to help education technology reach millions of more people around the world. – Curing diseases. We launched a major initiative to help scientists around the world cure, prevent and manage all diseases by the end of this century. Most scientific breakthroughs in history come after new tools are invented to see the world in new ways. We’re investing $3 billion to build new tools that will help scientists around the world make faster progress, including a $600 million effort called the Biohub right here in San Francisco with Stanford, UCSF and Berkeley. – Technology. One unique aspect of our approach to philanthropy is we’re building a world-class engineering team to build technology to empower teachers, scientists and doctors to create greater impact themselves. Our engineering team now includes engineers from top technology companies, education startups, science labs and more. And we’re hiring! – Our team. Our Chief Technology Officer Brian Pinkerton joined us from Amazon. Dr. Cori Bargmann, a world-renowned neuroscientist and geneticist, joined to lead our science initiative. Jim Shelton, an expert in personalized learning who has played major roles running an ed tech company, in the US government and at the Gates Foundation, joined to lead our education initiative. And we have more to announce soon! Reading our letter to Max, we can see how we’re starting to make progress against our goals, and we can also see this will take a lot of hard work over a long period of time. So, a year into our journey, I want to take a moment to say thank you. Thanks to everyone who has helped us along the way, and to everyone around the who shares this mission to advance human potential and promote equal opportunity. Together, we can leave our children a better world.